தேசிய சேமிப்பு வங்கியில் சந்தைப்படுத்தல் உதவியாளர் (Marketing Assistant- I) பதவி வெற்றிடம். Applications are invited from eligible candidates who possess the undermentioned qualifications and experience for the post of Marketing Assistant- I on contract basis in the National Savings Bank. 1. 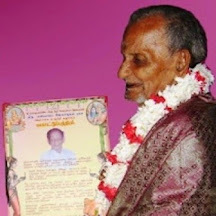 Candidates should be citizens of Sri Lanka. 2. 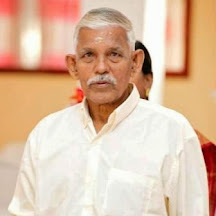 Educational Qualifications - Should have passed the GCE (O/L) Examination in one sitting in 06 subjects with 05 Credit Passes including Sinhala Language / Tamil Language and Mathematics And Credit Pass for English Language at GCE (O/L) Examination And GCE (A/L) Examination with 03 Passes in one sitting. 3. Experience - A minimum of 02 years experience in Marketing / Sales in a recognized institution. Preference will be given to those who are conversant in all three Languages. 4. Age Limit Below 30 years. The applicants should be permanent residents within 10 km of the nearest NSB Postal Banking Branch and should possess a valid licence for riding motor cycles. 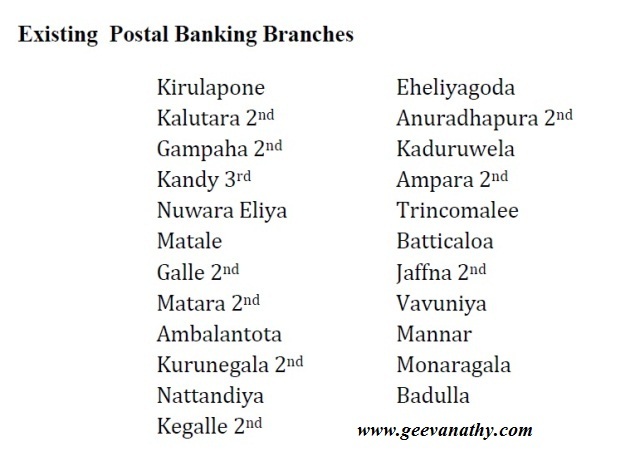 The existing Postal Banking Branches are indicated below.  Mobilization of deposits and sale of banking products as per the targets set by the Bank.  Organizing savings promotion activities in the area for Branch / Postal Banking Branch and taking follow up action.  Improve relationship with Post Offices and conduct awareness programmes in rural sector. Selected candidates will be employed as Marketing Assistant- I on contract basis for a period of 02 years and will be required to serve in the assigned Branch during this period. They will be paid a monthly allowance of Rs.17,000/-. Those who successfully complete the two year contract period will be considered for absorption into the Bank’s permanent cadre based on the performance. Applications giving full bio-data including Educational / Professional qualifications, Experience and names and addresses of two non-related referees should be sent under Registered Cover to reach the Asst. 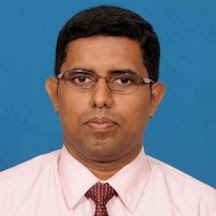 General Manager (HRD), National Savings Bank, 255, Galle Road, Colombo 3, on or before 23.10.2015. Photocopies of the Birth Certificate, O/L, A/L, Service Certificates and a copy of the Driving Licence should be attached together with the application. The post applied for should be stated on the top left hand corner of the envelope.